The UK land-based bingo industry has undergone plenty of changes over the past decade or more, with challenges from online gambling and the rise of fixed-odds terminals, but gaming machines from traditional low-tech legacy machines to modern digital machines can help you to flesh out your offering and attract a younger crowd too. 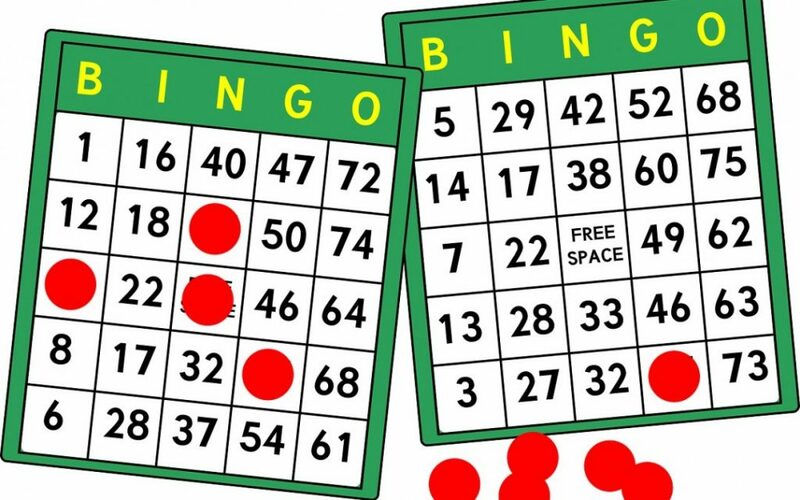 Bingo in the early 2000s shook off its old image of pensioners in a hushed hall, with more of a party atmosphere, big-money link games and events to attract the younger generations in each family. The market has continued to mature since then, and bingo halls have now found a second revenue stream as a social destination, especially for big celebrations like hen nights, workplace outings, birthdays and anniversaries. With this new, younger crowd, your venue will thrive best by catering for a broader selection of tastes, and by offering alternative forms of gambling and entertainment for in between the main bingo games. Gaming machines are the perfect way to do that – providing entertainment to individuals and small groups, without requiring any direct human interaction from your staff, and with the ability to keep people engaged whether they are playing or just watching from nearby. Manco has been maintaining gaming machines in bingo halls for nearly 50 years. During that time, we have acquired incredible knowledge and experience of maintaining and operating gaming machines in the bingo environment. Data retrieval, networked machines, community gaming are but a few of the modern developments in bingo gaming that we at Manco deal with on a daily basis. The machines that you operate benefit your club on a number of levels, first by engaging customers already on your premises, so that they stay longer and spend more, while also attracting more members to join so that they can enjoy all of your facilities, from your gaming machines to your live bingo games, bar area and any food you might serve too. Together, these advantages are helping to support a revitalised land-based bingo market, with plenty of potential for the future as the current younger generation’s own children reach maturity. Fruit machine maintenance is an essential part of keeping your slot machines in good working order, but it’s about more than just repairing them when something goes wrong. Scheduled planned preventative maintenance, or PPM, is like getting a check-up from your doctor or putting your car through its MOT – it allows you to spot problems before they have a chance to put your fruit machine out of action. From simple cleaning, to replacing components that are beginning to wear out, the important thing is to keep on top of these tasks from the first days of owning or renting a gaming machine, as this will ultimately help to reduce your expenditure on costly repair bills over the long term. Manco provides a first-class fruit machine maintenance service for gaming machines whether they are new or old – although as already mentioned, your best chance to maximise the longevity of your slot machine and minimise downtime is to carry out scheduled PPM from the very beginning of its service life. 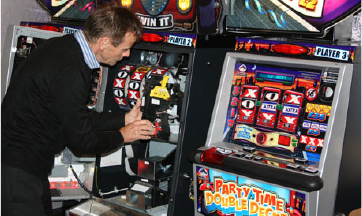 On the inside, we can check the circuitry is working as intended, verify that the coin slot is functioning properly too, and make sure any winnings are paid out without getting stuck in the chute. Fruit machine maintenance also means testing all of the bulbs that illuminate the front fascia of the game, along with the various features like the bonus trail, number of nudges, and the various physical buttons too. To maximise the impact of this, we also clean the glass, to keep all of those little lights shining brightly, and this will lead to a better visual effect in your pub or club premises. Ultimately our service is customer-focused, and by avoiding any malfunctioning circuitry, exposed wiring, or overheating bulbs, you can make sure you don’t face any health and safety concerns too. But for the punter, a gleaming gaming machine is a sign that everything is in good working order, that the buttons will work and the coins will dispense as they should – and this increases the chances of them playing, which is great news for your overall takings.